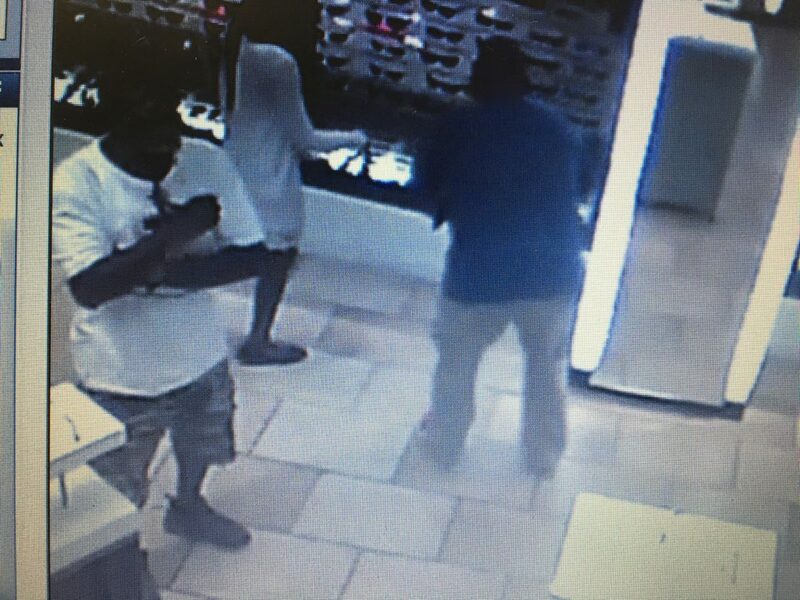 Green Cove Springs, Fla. June 23 – Detectives with the Clay County Sheriff’s Office are looking for two suspects in connection with a theft at Sunglass Hut in the Orange Park Mall. On May 13 at 3:20 p.m., two black males, believed to be 45 to 55 years of age, entered the store. One suspect distracted the sales associate, while the other, wearing a camouflage baseball cap with a U.S. Marine Corp insignia, stole two pair of Gucci sunglasses, a pair of Prada sunglasses and a pair of Versace sunglasses. The designer glasses are worth $1,290. Detectives believe the suspects also stole four pair of designer sunglasses, worth more than a thousand dollars, from the same store on Feb. 28. If you have any information about the suspects, please contact the Clay County Sheriff’s Office at (904) 264-6512.